The practice of Pilgrimage is almost as old as recorded history. 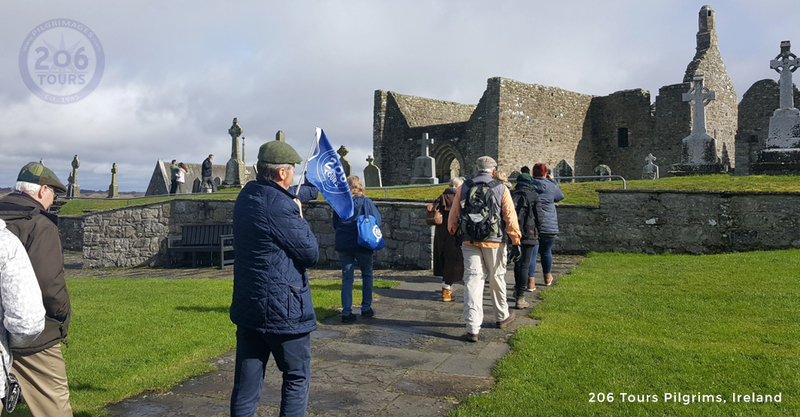 In Ireland, "The Land of Saints and Scholars", you will journey through strong historic resonance with the early Christian scholars while in Clonmacnoise. 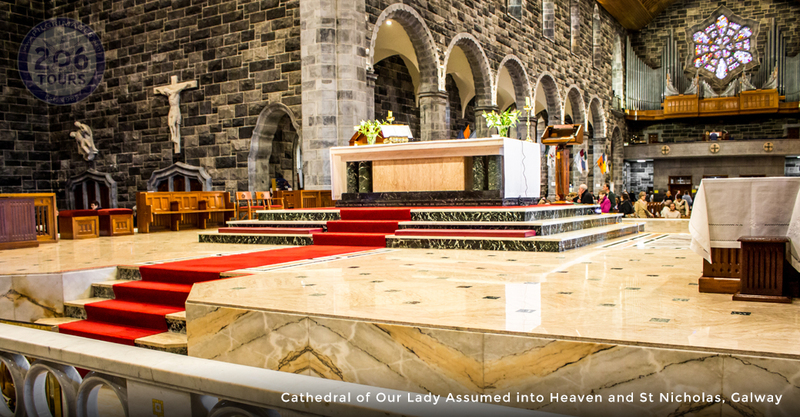 Live through the medieval journeys in Glendalough, and finish with heightened spirituality as you visit Our Lady of Knock - the Marian Site that is on the same pedestal as Fatima and Lourdes. Open yourself to the message of "Knock", and to the renewal of faith and prayer, which is so vital to our lives as Catholics. 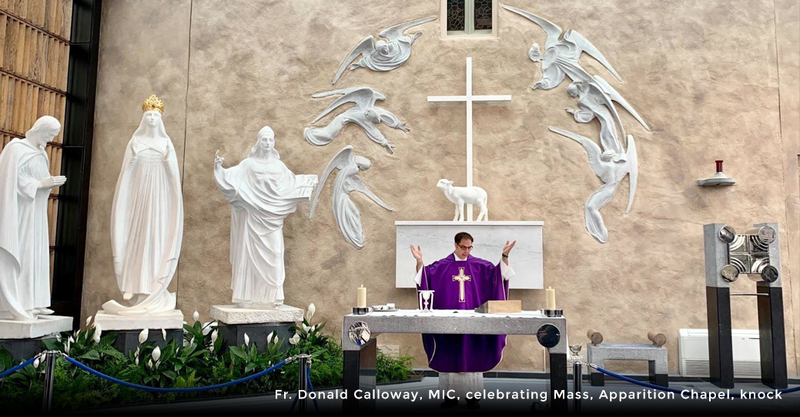 Journey to Ireland for a Catholic Pilgrimage exploring sites built centuries ago. 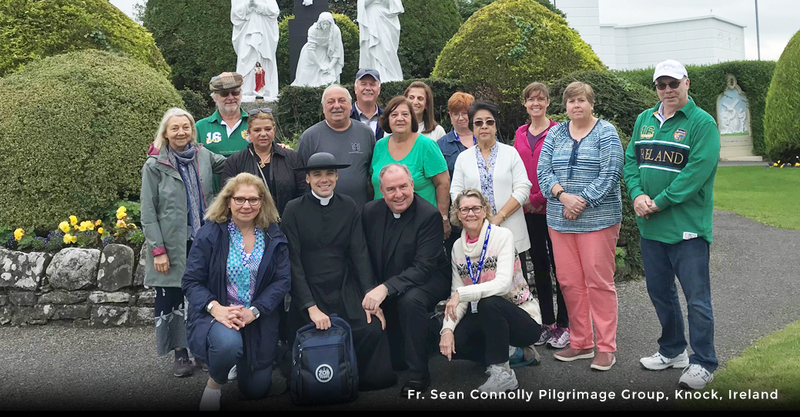 Join the millions of Pilgrims who have made Knock one of the most popular Pilgrimage sites in the world. 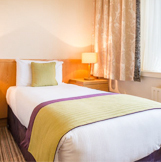 Visit famous cultural hubs like Dublin and Galway and enjoy the marvelous Cliffs of Moher. 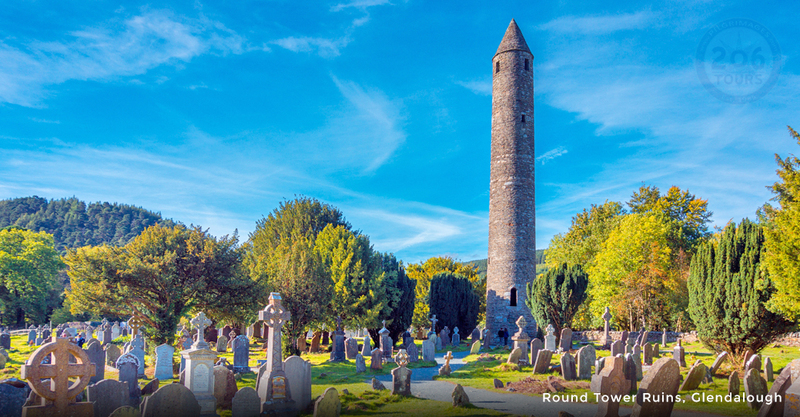 Depart from your hometown for your overnight flight(s) to Ireland. Meals will be served on board. Cead Mile Failte - Welcome to Ireland! Upon arrival into Dublin you will be greeted by your tour guide and driver. 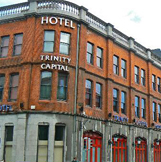 We will have a panoramic city tour on both sides of the River Liffey, where we pass by the General Post Office on the city's main streets, O'Connell Street, Custom House, and Phoenix Park, the largest city park in Europe. 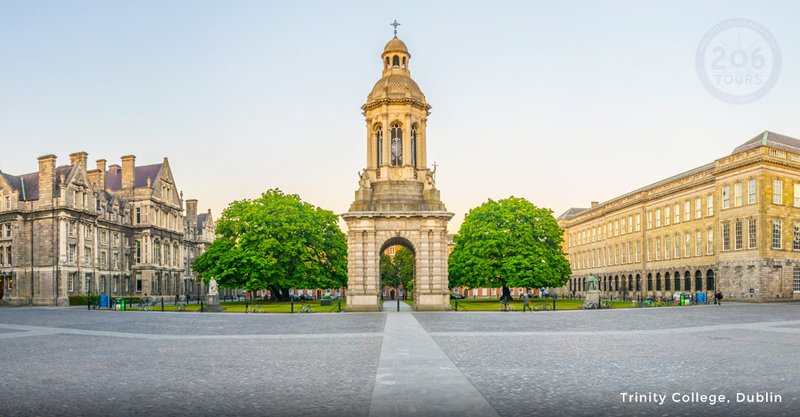 On the other side of the river are Georgian squares characterized by colorful doors, Grafton Street and Trinity College which is the oldest university in Ireland, founded in 1592 by Elizabeth I. 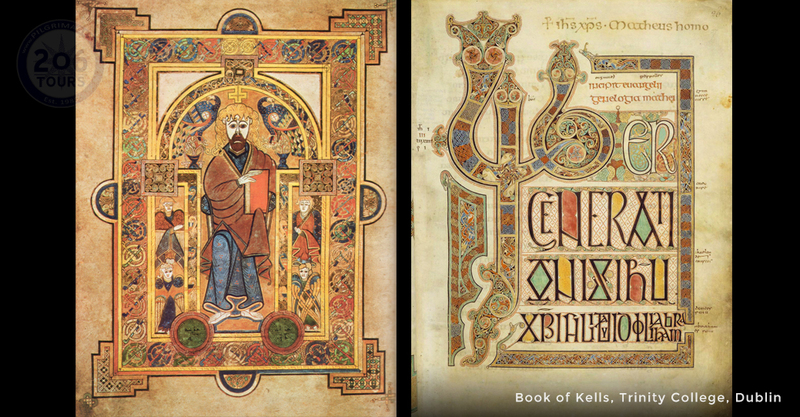 Time permitting we visit the ancient library containing over 20,000 manuscripts, among which is the Book of Kells, a manuscript from the 9th-century written by the monks at St. Colombo's monastery on the island of Iona. Today we will also visit St. Patrick's Anglican Cathedral, built in 1213. This Gothic Cathedral has a splendid interior, with some beautiful tombs and monuments. The ornate stained glass windows can be found in the Chancel. In the late afternoon we transfer to our hotel for dinner and overnight. Following breakfast, we will travel through the beautiful mountains of Wicklow, called the "Garden of Ireland" until we reach Glenadalough. This ancient monastic city, established in the 6th-century by St. Kevin, is in the heart of "the valley of the two lakes." It was a very important centre of learning as well as a pilgrimage destination. There are many legends concerning St. Kevin and he is often compared to St. Francis of Assisi. 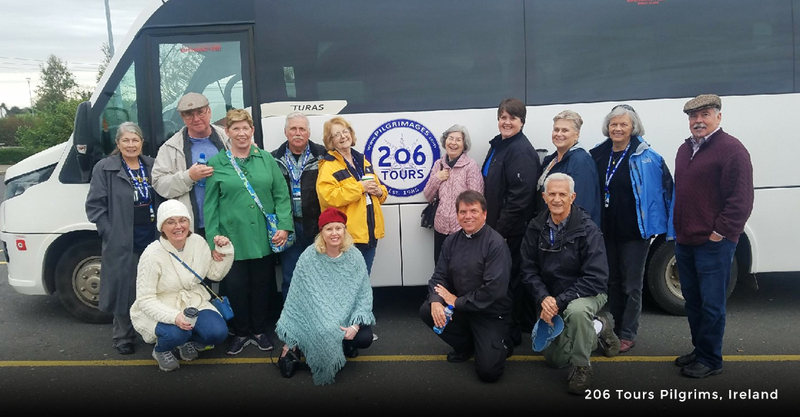 You will be taken on a guided tour of the site, in which you will see the Round Tower, the ruins of the Cathedral, and "St. Kevin's Kitchen" that is surrounded by an old cemetery. The tour continues to Baltinglass where the ruins of a Cistercian Abbey are found. 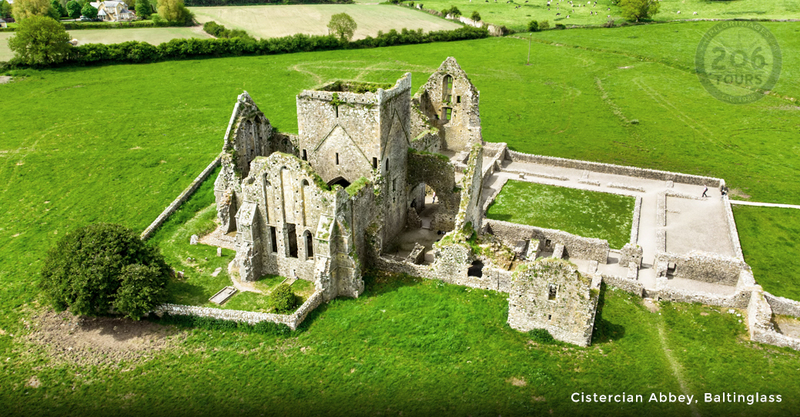 We will then pass by Castledermot, where we set eyes upon the remnants of a Franciscan Abbey, before arriving into Tipperary for dinner and overnight. Today we are on to the "Rock of Cashel," standing high in the middle of the "Golden Vale." 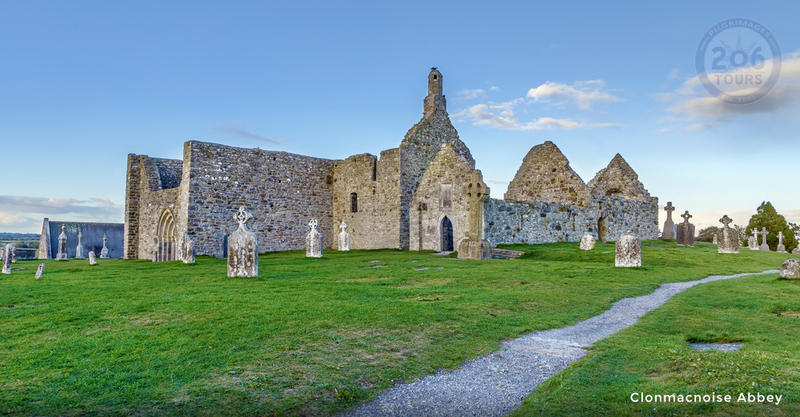 These religious buildings, dating from the 12th-century, form the most spectacular medieval set in Ireland. The Cathedral, the Round Tower and Cormac Chapel, which was the first Irish Romanesque church, testify to the importance of this site which used to be the seat of the High Kings of Munster. So, once more we find two traditions and cultures meeting with one another where the story of St. Patrick's Cross will tell us more. Our journey continues towards Kerry for dinner and overnight. This morning continue towards the Dingle Peninsula, the most northern of the Kerry peninsulas. From the town of Inch, where David Lean shot the movie "Ryan's Daughter," and the last part of the country where Gaelic language is spoken, we continue along the Eagle Mount and the cliffs of Slea Head. In Early Christian Ireland, monks were looking for isolated places such as Gallarus Oratory. It is dated from the 9th-century, and excellently preserved. Oratory used to be a place of prayer for monks. Our next stop is the Kilmalkedar Church, built in the 12th-century and once part of a complex of religious buildings in Romanesque style. 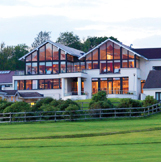 Dinner and overnight in Kerry. After a good Irish breakfast we will be going north through Listowel and embark on the ferry at Killimer to cross the Shannon estuary. County Clare is a beautiful landscape with a Victorian seaside resort, and where we will visit the Cliffs of Moher. The coastal road with Galway's intensely blue bay on one side and natural rocky landscape on the other. 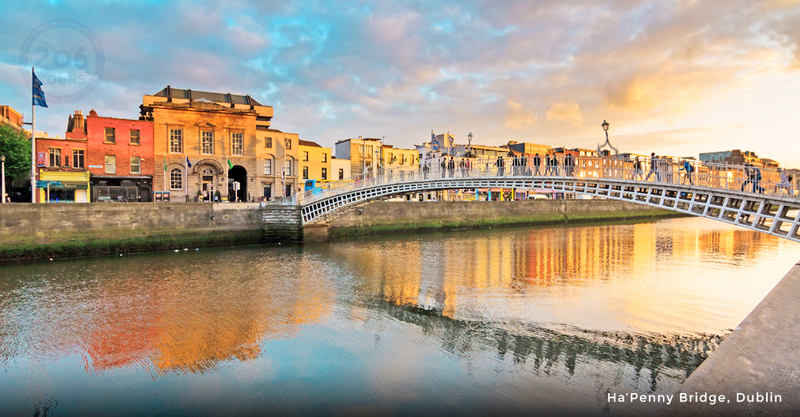 From here we go on to Galway, a city that has kept its medieval charm with its colorful streets and authentic pubs. Dinner and overnight in Galway. 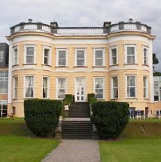 Today we will enjoy a Cruise on Corrib Lake, which is the largest lake in the Republic of Ireland. 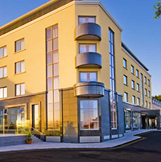 It is also the best way to see Galway and its surroundings. Today we will visit to Clonmacnoise, which is Ireland's most important monastic site, overlooking the River Shannon. This site was founded by St. Ciaran in the 6th-century and consists of a walled field containing numerous early churches, high crosses, round towers and graves. Dinner and overnight in Galway. Today we will visit Knock and the shrine situated in the plains of East Mayo, which is one of the world's leading Marian shrines. On August 21, 1879 fifteen men, women and children witnessed an Apparition of Mary. We will visit the Basilica, the largest church in Ireland. Knock is a very popular pilgrimage destination, and in 1979 Saint John Paul II visited this holy place. After Mass we will have time for private prayer at the shrine, followed by free time for lunch and shopping on our own. We will return to the hotel for dinner and overnight. Today as we leave Knock, we will enjoy beautiful scenery travelling to Dublin. We will arrive in Dublin in the afternoon and visit the National Museum, situated in the heart of the city. Its collection of golden prehistoric jewelry is without a doubt the most beautiful in Europe. You will be particularly interested in the Celtic finery as well as numerous early Christian ornaments and relics of great beauty. In the afternoon there will be some free time for lunch and relaxation. Dinner and overnight in Dublin. This morning we will transfer to Dublin Airport for your return flight(s) home. Cead Mile Failte – Welcome to Ireland! 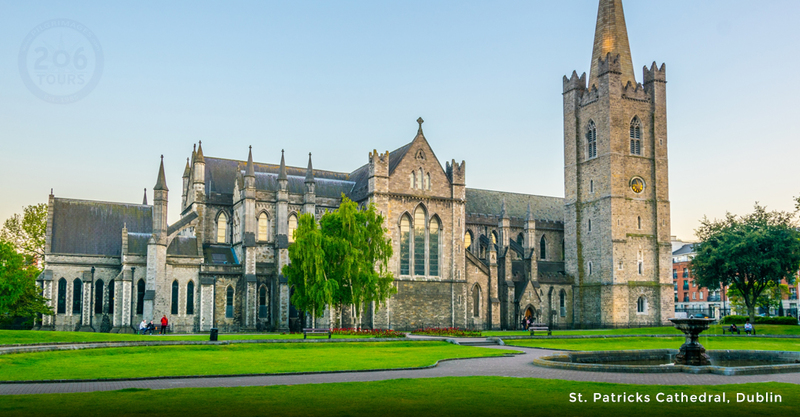 Arrive in Dublin, the country’s capital, and see famous sites like the River Liffey, St. Patrick’s Anglican Cathedral, Grafton Street and Trinity College, home to the Book of Kells. Travel through the Wicklow mountains to Glendalough, an ancient monastic city established by St. Kevin in the 6th century. 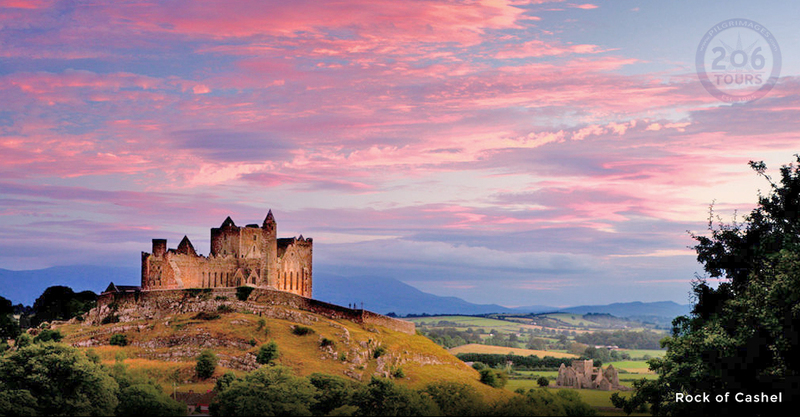 See the spectacular medieval religious buildings at the Rock of Cashel. 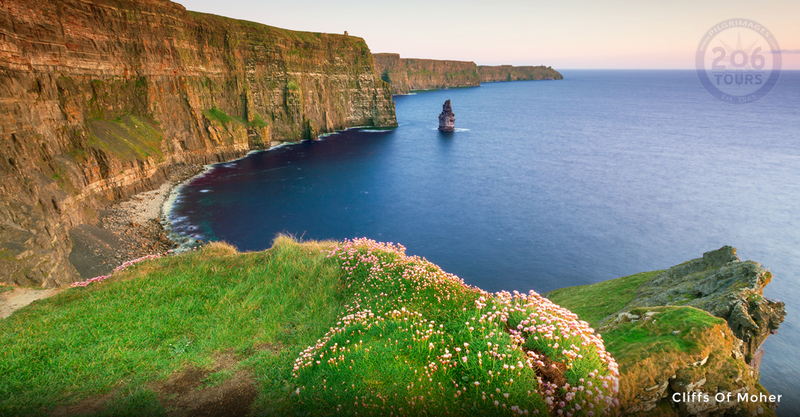 Visit the beautiful coastal towns of County Clare and Galway with a stop at the famous Cliffs of Moher. 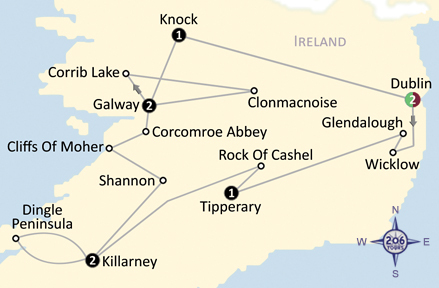 Cruise on Corrib Lake and visit Ireland’s most important monastic site, Clonmacnoise. 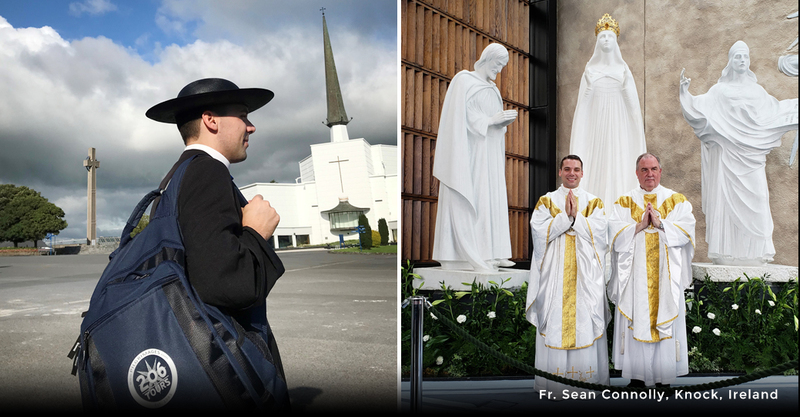 In Knock, you will have the opportunity to pray at one of the world’s leading Marian Shrines, where fifteen men and women witnessed an Apparition of Mary in 1879.